Whether in the realm of natural resources or politics, Balochistan has always been a target of exploitation by politicians and other powerful forces in Pakistan. Whenever Balochistan is mentioned, it is invariably described as the least developed region of Pakistan. It is always “volatile”, “neglected” and “backward”; the region with the worst health indicators and the poorest infrastructure. It is the place where a majority of children are out of school, and there is little access to basic resources available everywhere else in the country. Nevertheless, while such problems are a fact of life for the majority of the people of Balochistan, our mainstream media have never had the resources or the incentive to give these issues the coverage they deserve. What has recently brought Balochistan into the limelight, however, has been the election of a new Senate chairman from the province. Two of the largest political parties in Pakistan, Pakistan Peoples Party (PPP) and Pakistan Tehreek-e-Insaf (PTI), deployed an arsenal of the aforementioned descriptive factors regarding Balochistan to promote the recommendation of the region’s newly elected chairman of the Senate. 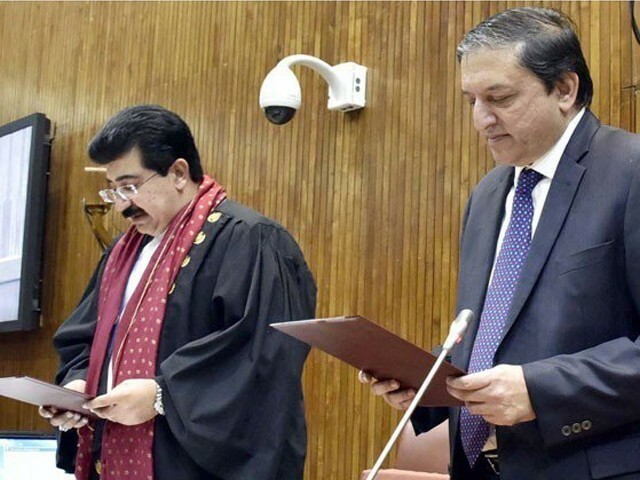 Two viable names emerged in this process, both independent senators from Balochistan – Anwarul Haq Kakar and Sadiq Sanjrani, with the latter being the eventual appointee. Kakar was the leader of the Pakistan Muslim League-Nawaz (PML-N) government in Balochistan, until it was ousted a few months earlier. He then joined a dissident group of the PML-N and was re-appointed, first as an advisor and then as a senator. Sanjrani, on the other hand, is less widely known, though his leaning towards the PPP is no secret. He played a key role in establishing ties between dissident members of the Balochistan assembly and Asif Ali Zardari, in order to aid in the ousting of the PML-N government. As a result, some could consider his appointment a reward for his cooperation. I asked several local journalists from Sanjrani’s constituency in Chagai about his political background, and was told he is neither a politician nor a Baloch nationalist – he is simply a rich man who was, until a few weeks earlier, virtually unknown to most people in the province. This is an all too common occurrence in Balochistan; Senate votes are up for sale to the highest bidder, and some members are not even shy about revealing the amount rich people are willing to pay to get elected. This is an open secret, and explains why some of the least known Pakistani “politicians” end up becoming senators from Balochistan. So what can you expect from a senator who may have allegedly bought his way into the Senate? Let’s be optimistic for a change, as we take a brief look at his career thus far. Sanjrani is 39-years-old, and by the age of 20, when most aspiring young men had not even finished college, he was serving as a coordinator in the government of then Prime Minister Nawaz Sharif. This achievement is even more remarkable given that his father was not a wealthy man, but a mere middle class government employee serving as a Chagai District Council member. When the PPP was in power, Sanjrani was appointed in-charge of the party’s complaint cell, and served in the position for five years, as well as on the prime minister’s secretariat. I am unsure how Sanjrani managed to juggle the demands of his education with the responsibilities of serving in such key government positions, but perhaps this talent for prodigious youthful achievement was something that ran in the family. After all, one of his brothers, Raziq Sanjrani, was appointed Managing Director of Saindak Metals Limited at the young age of 24. Achieving milestones at a young age is a good thing, but being young may cause some constitutional problems for Sanjrani, who is second in the line of succession to the president of Pakistan. In the absence of a president, he will be sworn in to a position he is constitutionally too young for, as the age limit for the president of Pakistan begins from the age of 45. On another note, Sanjrani has many things in common with Mir Abdul Quddus Bizenjo, the incumbent Chief Minister of Balochistan. They both hail from towns where there is no power line, no clean drinking water, and neither infrastructure nor basic healthcare. Sanjrani comes from Chagai, a mineral-rich district with huge reserves of gold, silver and other precious minerals. People depend on generators for electricity, which is available for only a few hours a day. There are constant complaints lodged about a lack of access to clean drinking water, rampant unemployment, as well as frequent demands for the enrolment of out-of-school kids. In 2015, I spent a week in Chagai, and it felt like a journey back in time to the 18th century. There was no water, no infrastructure, and most of the dwellings were huts made out of mud. Aside from a few rich people, all of the residents suffered from extreme poverty. In the almost total absence of employment opportunities, some had resorted to human trafficking in desperation. Whatever people’s expectations of him, Sanjrani could go a long way towards winning the hearts of his fellow Baloch, merely by providing the basic necessities of life – electricity, water, healthcare and education – even if only to his own hometown. 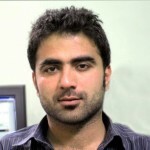 I have worked as a reporter in Balochistan for over 10 years. I know the province well, and am familiar with the challenges it faces. I am also realistic enough to not expect miracles from local politicians. I do, however, believe that Sanjrani should be capable of making inroads into solving some of Balochistan’s most pressing problems. Owning a fancy house in poverty-stricken Nokundi and Quetta cannot be considered success if your constituents continue to live in the Stone Age. Mir Zafarullah Khan Jamali, the prime minister from 2002 until 2004, also hailed from Balochistan. Though his position was one of the most powerful in the country, he ended up resigning from his post, claiming he was powerless to stop the operation in Dera Bugti, which led to the killing of Nawab Akbar Bugti. As this shows, the power of the Federation is such that it can pick anyone from Balochistan and appoint them to a key position, without it leading to any real empowerment or improvement in the province. On the contrary, it quickly becomes apparent that any appointment from Balochistan is merely a tactic to exploit Balochistan for material and political gain, which is exactly what Zardari and Imran Khan did with the Senate elections. Thus, many observers in Balochistan are cynical and pessimistic about the new appointment, believing that the establishment has simply replaced old faces with new, and they do not anticipate any real change to take place in Balochistan. Though this is not without good reason, I would suggest we eschew the usual cynicism and pessimism and hope for a better future. Balochistan is in desperate need of leaders who can, at the very least, address its most basic problems and needs. In light of this, perhaps we need to give Sanjrani the benefit of the doubt and allow him a chance to prove his worth before writing him off completely. Perhaps this time will be different, and the optimist in me wants to believe Sanjrani’s appointment will succeed in bringing some real and necessary progress in Balochistan.